"What may not be so widely known is that what was once a program run by the non-profit American Council for Education is now a for-profit business that includes Pearson, the largest education company in the world." Dropped out of high school? Limited adult education classes available since Michigan downgraded that program 15 years ago. Well, just go ahead and take the GED and then you can get a job. Sounds simple, doesn't it? Nope! It ain't! A new exam prepared by British corporate education giant Pearson, introduced in 2014, is so tough hardly anyone can pass it. The new test, now administered only on computers, is aligned to the Common Core and has a focus on college readiness rather than workforce readiness. Because of these problems and the cost -- $120 per test -- some states , including New York, have stopped using the GED. The Washington Post reported: "For decades the GED exam has been widely known as providing a path to high school equivalency credentials for people who did not earn a traditional high school diploma and needed a second chance in order to get a job. Amber Sims, writing for the Post, analyzes a math question from the new GED test: "A 6-foot tall forester standing some 16 feet from a tree uses his digital rangefinder to calculate the distance between his eye and the top of the tree to be 25 feet. How tall is the tree? "You spend nearly five minutes of your 120 minutes for the 46-question math test on this question alone. If you had the answer key, you would know this: 'You can't actually solve this problem, however. Because the rangefinder is measuring the distance from the forester's eyes and you don't know how high his eye is above the ground." Ms. Sims commented further on the GED: "Test-takers must be able to type 25 words per minute, and do advanced algebra aligning the new test with national core curriculum. Additionally, the cost ballooned from $80 to $120, requires a credit card on file, and there are very few local testing sites. As a result, it is nearly impossible for the average GED student to pass, and it's becoming even more impossible for us to get the qualified GED-bearing workforce we desperately need across the country. "The Pearson-created test has now made it extremely difficult for low-income Americans to receive a degree needed to fill just about any job in this country -- and the implications for America's identity as 'land of opportunity' are disastrous." "Another reason for the abysmal passing rate is structural," writes Eric Owens, education editor for the Daily Caller. "By making the GED more about careers and college-readiness, the test has necessarily become a barrier for the poorest, most unsophisticated Americans. Someone who has no desire to go to college but wants to have a chance at, say, a construction job that requires a high school diploma or its equivalent will have a much harder time passing the new computer-adaptive GED." The Michigan GED tests participants on five high school subjects: Language Arts, Reading; Social Studies; Science; Language Arts, Writing; and Mathematics. 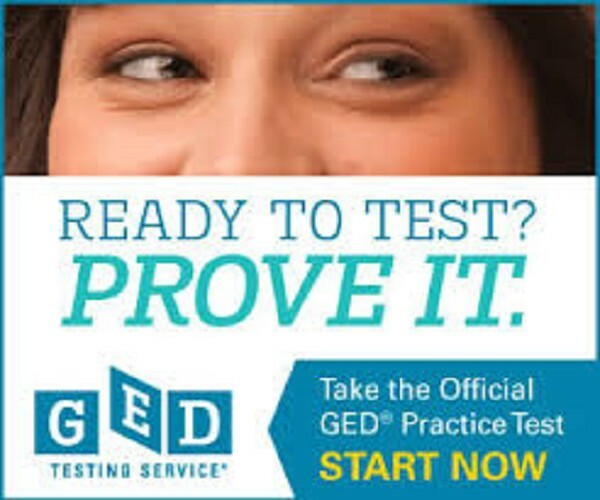 The GED Testing Service estimated that 90,000 people nationwide earned the General Educational Development high school equivalency certificate in 2014. That's a precipitous drop from 540,535 in 2013 and 401,388 in 2012. Similar declines are happening in Michigan. Lori Higgins, education writer for The Detroit Free Press, reported the number passing in 2014 was 1,472 for people in the general population, down from 13,651 in 2013 and 10,290 in 2012. "But last year's drop was worse than the last overhaul in 2002, when there was a 53% decline in people passing the test. Last year, the drop was 83%. GED officials expect the numbers will rebound." New York writers Diane Ravitch and Alan Singer are among the most vigorous protesters against the "corporatization" of education, especially by the British firm Pearson Education. In her popular blog, Ravitch writes: "Since Pearson bought control of the GED test, there has been a staggering collapse in the number of students who passed it and won a high school diploma. Pearson raised the cost of taking it and made it harder by aligning it with the Common Core. "Before Pearson took over, about half a million students took the GED, and most passed. After Pearson took control, passing rates dropped by a stunning 90%. "These days, employers often require a high school diploma even for menial jobs. No diploma, a life of limited opportunity. In Michigan, non-graduates of high school are routed to online "cyber" academies run by, guess who, Pearson. OK, the GED is out for you. What about alternative education programs? Some seem to have arisen like a phoenix from the flames of the purge of the Engler years, but only in the Detroit area. "One out of three working age Michigan adults -- 1.7 million people -- lack the basic skills or credentials to attain a family sustaining job and contribute to the state's economy." -- from the State of Michigan Workforce Development Agency Adult Education Department. According to Dr. Clifford Akujobi, of the State of Michigan's Adult Education Department, a total of $45,000 is provided in federal funds for the Bay-Arenac Intermediate School District's adult education program. "If there is greater need, the district can apply again July 1, 2017," he said. Last week in this column we reported that there were 9,108 people ages 18-24 in Bay County who do not have a high school diploma. In the tri-county area of Bay, Saginaw and Midland there are 37,798 non-graduates in that age group. Obviously, the $45,000 provided to BAISD is laughably inadequate. That amount might pay part of one teacher's salary; and how many students can one teacher teach? "A separate program within a K-12 public school district or charter school established to serve and provide youth a choice or option whose needs are not being met in the traditional school setting." New York City once had a superb adult education program, one of the best in the nation. But that program is now producing few graduates. "The city Department of Education touts its $47 million-a-year adult-education program as the biggest in the state and second-biggest nationwide, but last school year it awarded just 299 high-school equivalency diplomas, The Huffington Post has learned. "About 27,000 people over age 21 were enrolled in classes offered by the DOE's Office of Adult and Continuing Education, including 15,700 learning English as a second language and nearly 11,000 in basic education classes that can lead to a diploma." The New York Post blames the program's leadership, but in light of the national data, the test itself might be flawed. Still, $47 million to produce 299 graduates. Wow." It was recently reported that the GED was dropping its cut score, though not by a lot. This was a recognition that the failure rate was too high. But will this solve the problem? Obviously, to this incredulous columnist, something is rotten in Denmark, er, Michigan, er everywhere Pearson has spread its greedy tentacles. Time for another American Revolution!